We Know How to "Get it Right, Fast!" 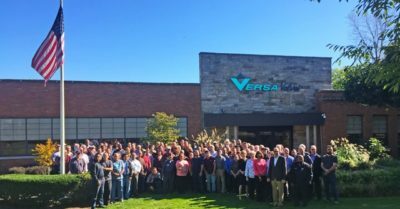 Versa Products Company, Inc. designs and builds pneumatic valves and accessories that outperform and outlast all others. We offer customized and standard solutions for the industrial, valve actuation, mobile, process control, and oil and gas markets. Our path to unsurpassed reliability and industry-leading service began in the aftermath of World War II. Carl M. Carlson launched Versa in 1949 when he designed and built our first pneumatic directional control valves in a garage in Brooklyn, NY. Today, we continue the tradition of excellence he started in all facets of our global business. Our emphasis on developing our employees and our partnerships with distributors and suppliers has created a team-based culture that is crucial to our success. We are committed to ethical, sustainable business practices across all of our operations. Our internal mantra “Get it Right, Fast!” keeps our entire team aligned. 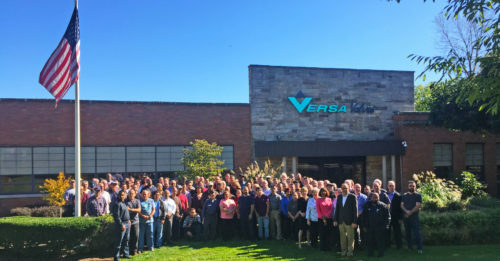 All products in Versa’s 75,000+ parts catalog are designed, assembled, and shipped from our manufacturing facility in Paramus, NJ, USA. Our technical sales support team is known for their responsiveness. With staff in New Jersey and Apeldoorn, The Netherlands, we are ready to help with pneumatic circuit design, technical issues, and commercial support. Our worldwide distribution network provides local customer assistance with product specification, project requirements, and product procurement. Our commitment to continuous improvements in our operational capabilities and products assures that we will exceed our customers’ expectations. Our mission is to delight every customer with long-lasting, high-performance products, new designs, and exemplary customer service. We ship 90% of our orders in 1-5 days with 99% on-time delivery performance. And, we offer the industry’s only 10-year warranty.